Now OfficeMA supports the display of a wide range of international currencies. 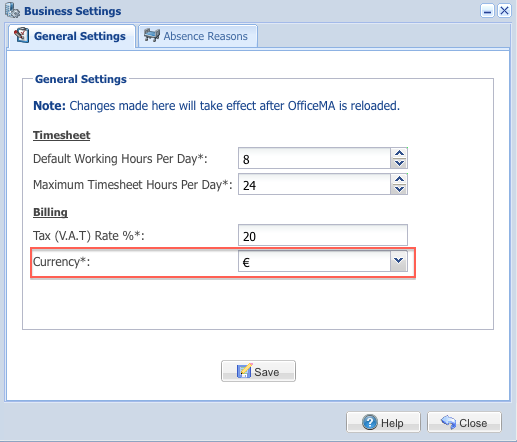 Whenever currency values are displayed in tables or reports, OfficeMA formats them according to the currency and country you set for your business. Please note that values are still entered in decimal format. 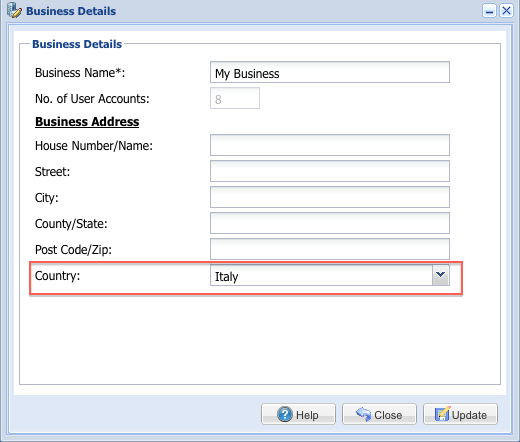 To benefit from this new feature you simply need to update the country for your business by clicking the ‘Business Details’ icon on the toolbar, then on the ‘Business Details’ window choose your country from the ‘Country’ list and click the ‘Update’ button. To update the currency click on the ‘Settings’ icon on the toolbar, then on the ‘Settings’ window choose your currency from the ‘Currency’ list and click the ‘Save’ button. For the new currency settings to take effect, you need to logout and login again and you are done. Now you can order and pay for extra OfficeMA users Online using Paypal. If you click the ‘Add User’ icon on the toolbar and you do not have any spare user accounts, the ‘Purchase Users’ window will be displayed. 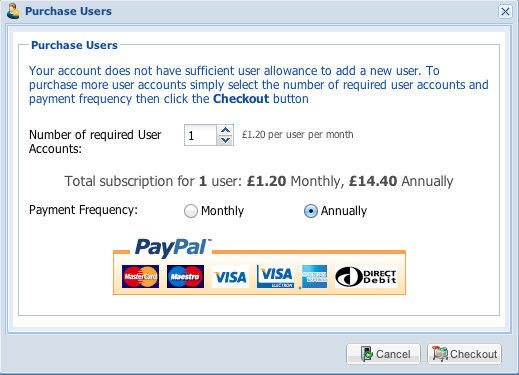 Select the number of accounts you require and how frequently you want to pay for them then click the ‘Checkout’ button. You will be forwarded to Paypal to confirm the payment details. Once the payment is processed you will be forwarded back to OfficeMA where you can start adding new users straightaway. The password reset security questions are now retired and are no longer collected from new or existing users. 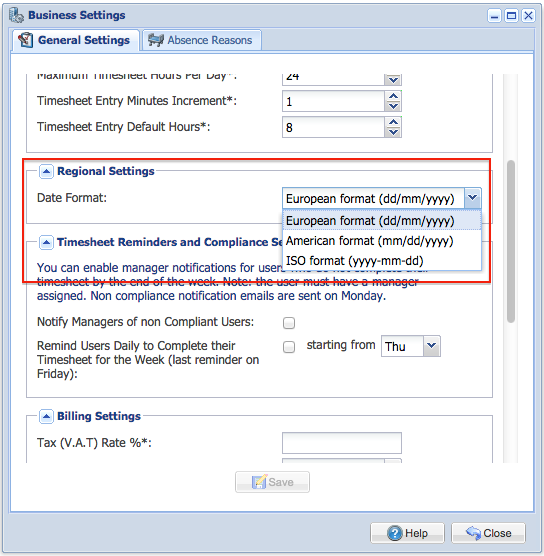 The password reset and validation now only involves the registered OfficeMA email address.